Our Smith Eibeler anti-harassment lawyers represent students who are victims of school bullying throughout the State of New Jersey. New Jersey courts have made clear that the New Jersey Law Against Discrimination not only applies to discrimination at the workplace, but also when this unlawful conduct occurs within the schools. 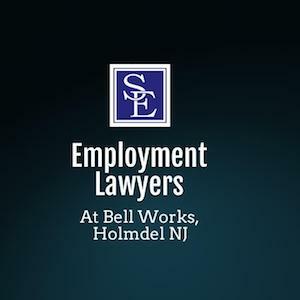 Like all New Jersey employers, the Law Against Discrimination requires that schools maintain effective policies against harassment and discrimination and requires that school officials take preventive and remedial action to stop harassment, discrimination and bullying based upon the protected traits (such as race, color, religion, gender, gender expression, age, national origin, disability, marital status, sexual orientation, pregnancy or military status. In 2011, New Jersey enacted what is widely considered as the nation's most comprehensive anti-bullying law in the nation. New Jersey's Anti-Bullying Bill of Rights Act ("Anti-Bullying Law") expanded the scope of existing anti-bullying legislation to address harassment, intimidation or bullying within schools. This legislation is not limited to the protected traits provided under the New Jersey Law Against Discrimination. The Anti-Bullying Law contains numerous requirements that schools must adhere to that are designed to prevent and stop school harassment, intimidation and bullying. These requirements mandate that all schools take preventative action against harassment, intimidation and bullying by enacting well-stated anti-bullying policies, public reporting requirements, periodic review of policy, anti-bullying instruction and training and various measures all designed to stop harassment, intimidation and bullying. School teachers and other staff members are required to report all alleged incidents of harassment,intimidation or bullying to principal on the same day they learn of alleged harassment, intimidation or bullying incident. The principal must then inform the parents of all students involved in the alleged harassment, intimidation or bullying incident. If a written report of the alleged bullying incident is submitted, the school must commence an investigation within one day of learning of the allegations. An investigation must be commenced within 1 school day and must be completed within 10 school days. A written investigation report must be submitted to the school's superintendent after the investigation is completed. The results of the investigation must be reported to the Board at the next scheduled Board meeting. All parents of the children involved must also be advised with information concerning the investigation and the conclusions. These laws are designed to educate, train, discover and immediately and appropriately address unlawful harassment, intimidation and bullying. Unlawful harassment, intimidation and bullying comes in all shapes and sizes. It can start at the earliest levels of a child's education and continue through middle school and high school. Forms of unlawful harassment, intimidation and bullying can also include things such as hazing, sexual assault or abuse, physical abuse, psychological abuse and/or cyberbullying. The New Jersey Law Against Discrimination and the Anti-Bullying Law are important laws to protect victims of discrimination, harassment, intimidation and bullying and to provide victims with a voice and means to seek help and stop the suffering. If you believe your child is a victim of school based discrimination, harassment, intimidation or bullying please call one of our New Jersey anti-bullying attorneys for a consultation to discuss the specific facts and circumstances and learn how we may be able to help.